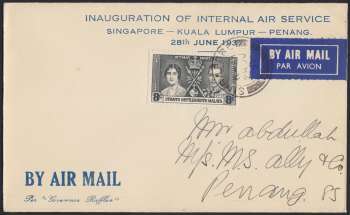 INAUGURATION OF INTERNAL AIR SERVICE SINGAPORE - KUALA LUMPUR - PENANG. 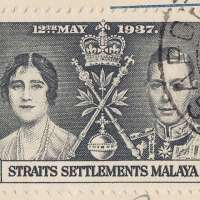 28th JUNE 1937. 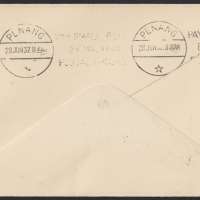 First Day Cover for inauguration of first passenger air services by Wearne's Air Service. The lid is still gummed and have never been opened. 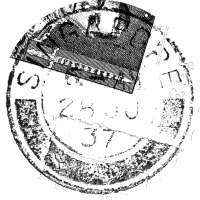 Air Mail label applied on top-right. Cover dimension: 152 x 93.5 mm. 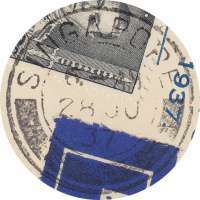 One stamp of 8 cents tied with one CDS cancellation. 28 June 1937, 6 am.